From developing superpowers to killing zombies, game developers want to focus on what they do best – producing engaging subscription-based video games. Xsolla connects game publishers to their customer base by providing the billing and distribution services needed to accommodate rapid growth. The company supports more than 1,000 game titles around the world, removing the burden of doing business on a global scale. Xsolla offers over 700 payment methods, making it easy for game developers to pick and choose which payment options they want to offer gamers in different markets around the world. The company added Amazon Pay to its payment options in the fall of 2015 to expand its choices for customers. 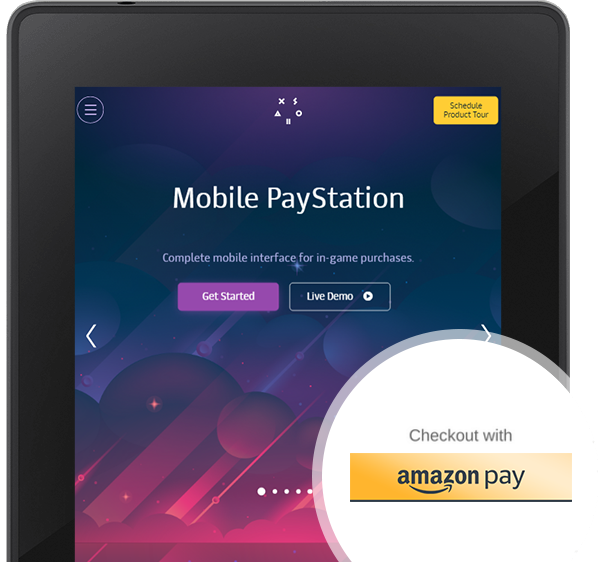 By offering Amazon Pay, Xsolla is helping game developers increase their average order size and raise conversion rates for over 300 million active Amazon customer accounts worldwide. Amazon Pay also gives gamers a familiar option backed by the customer support they know and trust. By offering Amazon Pay, Xsolla is helping game developers increase their average order size and raise conversion rates. Trust of the Amazon brand can mean greater global presence to Xsolla’s game developers worldwide that offer Amazon Pay as an option. And in the end, Xsolla added Amazon Pay in response to demand from game developers. We have partners asking us to enable Amazon Pay for them. They are looking for a good and trusted solution in the United States and other regions, and they want to establish a bigger presence in these markets. Among those is Russian video game developer Gaijin Entertainment, which was getting requests for the payment option from its customers. “Amazon Pay is a well-known and trusted payment solution,” says Ivan Kuzmin, E-commerce Manager at Gaijin. “We had numerous requests for it from gamers in Germany and elsewhere, so we decided we simply needed it."